The bright entryway opens up to the separate dining area, gleaming hardwood floors and staircase leading to the second floor. 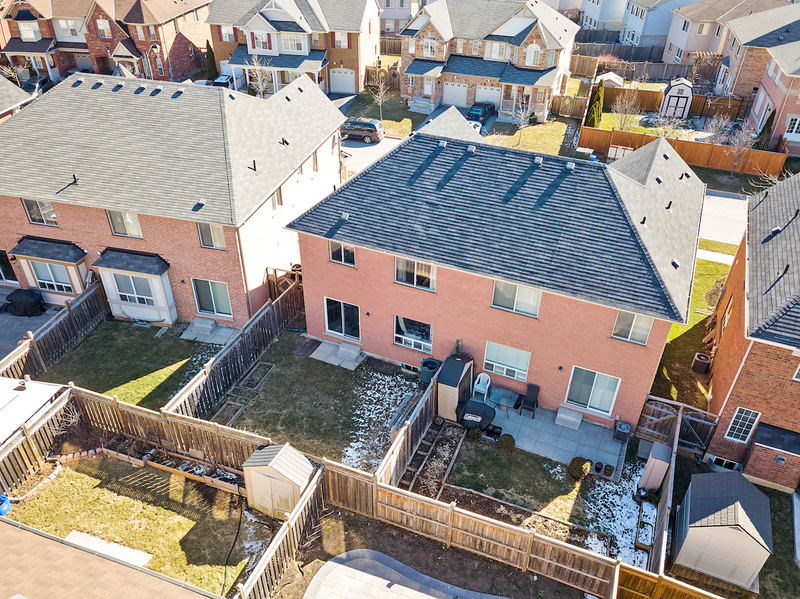 The rear of the home offers a family friendly open concept living room and kitchen. 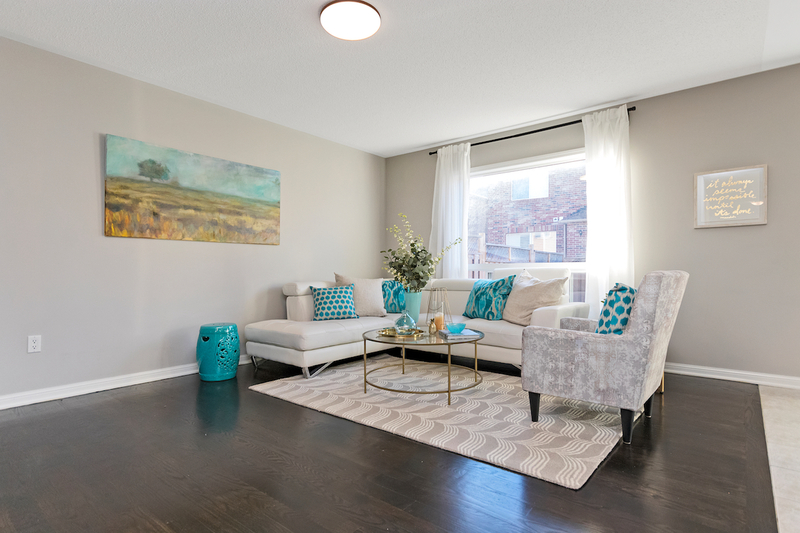 Warm open concept living room with dark hardwood floors, large windows, and updated lighting fixtures. 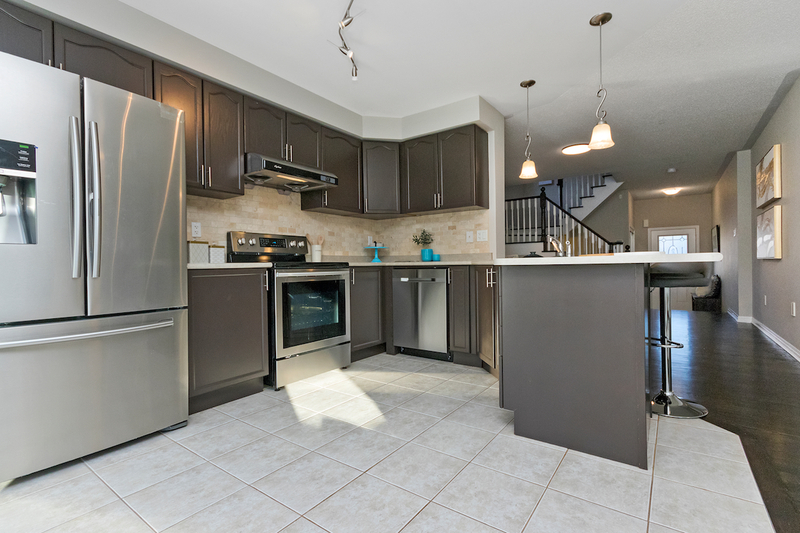 The stunning kitchen overlooks the living room and dining rooms and offers beautiful dark cabinets, new stainless steel appliances and large breakfast bar. Finished with ceramic floors and tile back splash, this space offers plenty of preparation space for the growing family and oversized patio doors lead to the private fenced back yard. 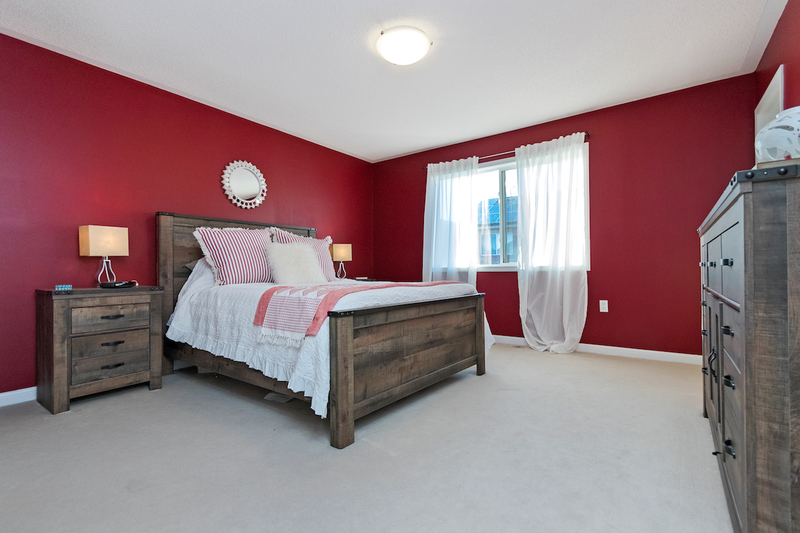 Large Master suite offers his and hers closets and 4 piece ensuite and large windows overlooking the rear yard. 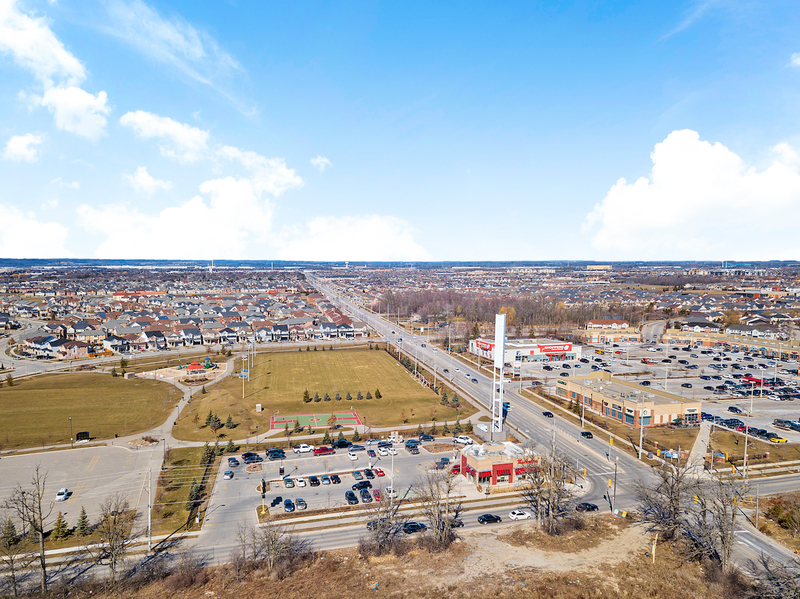 Two additional spacious bedrooms and large open office/den are perfect for the growing family.